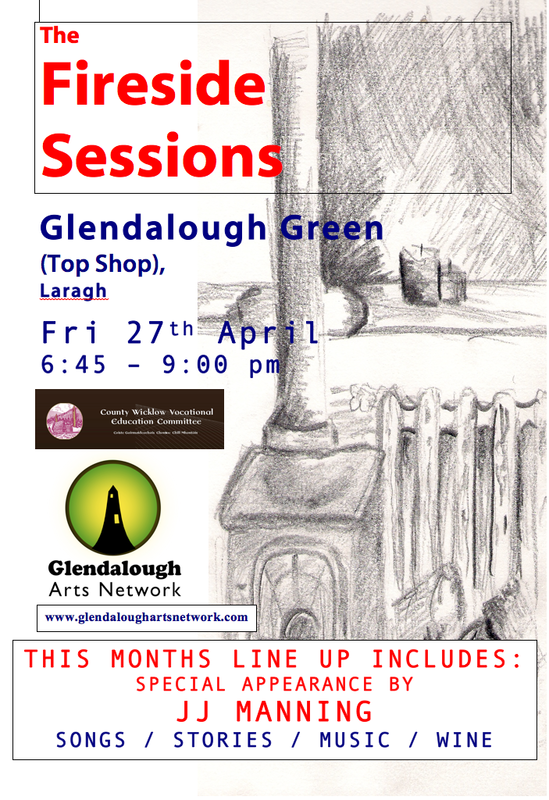 Delighted to confirm this months famous Fireside Sessions will be going ahead this Friday 27th in Glendalough Green, Laragh. Kick Off 6:45. This month sees a special appearance by legendary guitarist JJ Manning, and we are delighted to welcome him to our community of artists and revellers. Glendalough Arts Network have also been hard at work on our latest Magnus Opus, The Glendalough Midsummer Festival. You can visit us at www.glendaloughmidsummerfestival.com. Loads of information on the website and you can also find us on Facebook here. Alot more on that to follow obviously, but for now, we hope you can make it tomorrow night.